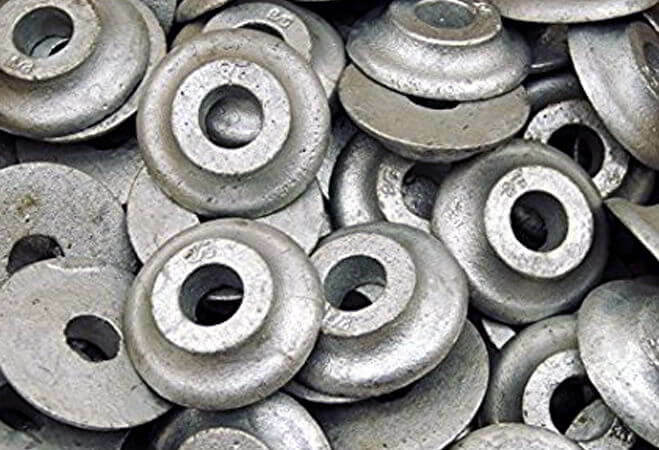 ASTM A479 Duplex Steel UNS S31803 F51 Washers, ASTM A182 Duplex Steel F51 S31803 Washers, 2205 Duplex Steel F51 Plain Washers Dealer, Duplex Steel UNS S31803 F51 Industrial Washers Stockists, UNS S31803 F51 Square Washer Suppliers, Duplex Steel ASTM A479 UNS S31803 / A182 F51 Fasteners, DIN 1.4462 Spring Washer, Distributors of ASME SA182 Duplex Steel UNS S31803 F51 Dock Washers, Duplex Steel ASME SA479 UNS S31803 F51 Ogee Washers in Mumbai, India. Duplex Stainless Steel Gr. 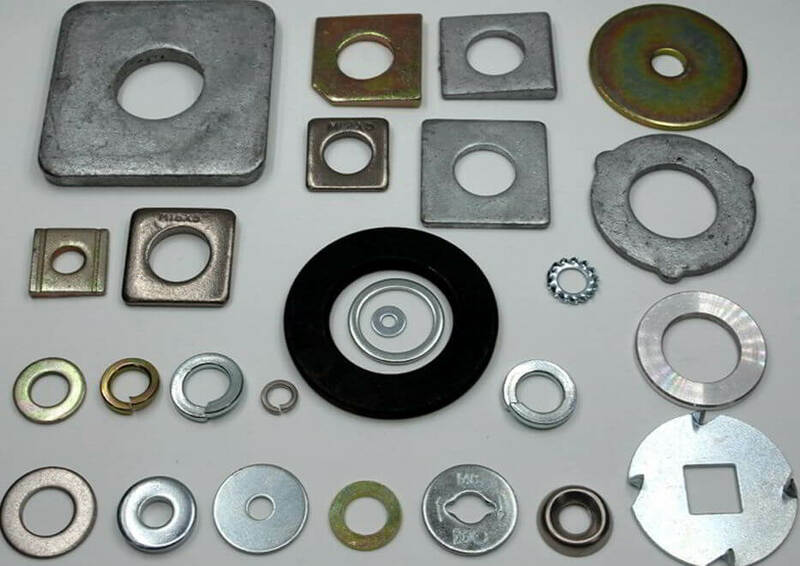 F51 S31803 Star Washer Manufacturer, ASTM A479 / A182 F51 Alloy 2205 Washers, ASME B18.22.1 Duplex Steel UNS S31803 F51 Customized Washer, A479 Duplex F51 UNS S31803 Tab Washers Wholesaler, A182 Duplex Steel F51 S31803 Tooth Lock Washer, DIN 125 F51 UNS S31803 Ferritic/Austenitic Stainless Steel Flat Washers Exporters. Renine Metalloys is a renowned distributor and supplier of Duplex ASTM A479 UNS S31803 / A182 F51 Washers, which is used for piping, tubing, and heat exchangers for the handling of gas and oil. 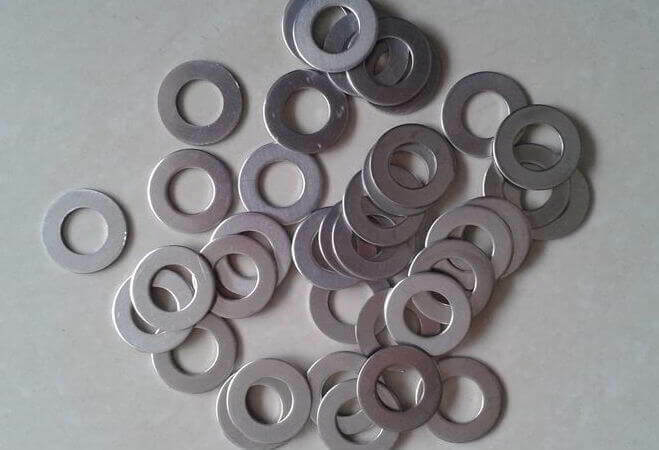 Because of its good corrosion resistance, high yield strength and weldability, Duplex ASTM A479 UNS S31803 Washers is used within a wide range of different industries and applications. 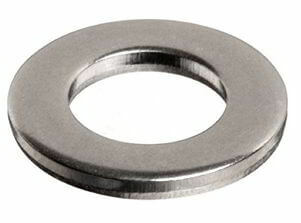 Duplex ASTM A182 F51 UNS S31803 Washers can be used for heat exchangers, refineries, chemical tanks, shafts (marine, etc.) pressure vessel parts, paper industry, compressor parts, flanges and pipes for the oil and gas industries, and seawater desalination plants. 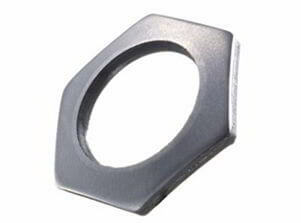 ASTM A479 Duplex S31803 Washers is resistant to chloride stress corrosion cracking (SCC) at temperatures of up to about 150 Degree C. ASTM A182 F51 Duplex S31803 Washers are also magnetic, a property that can be used to easily differentiate them from common austenitic grades of stainless. 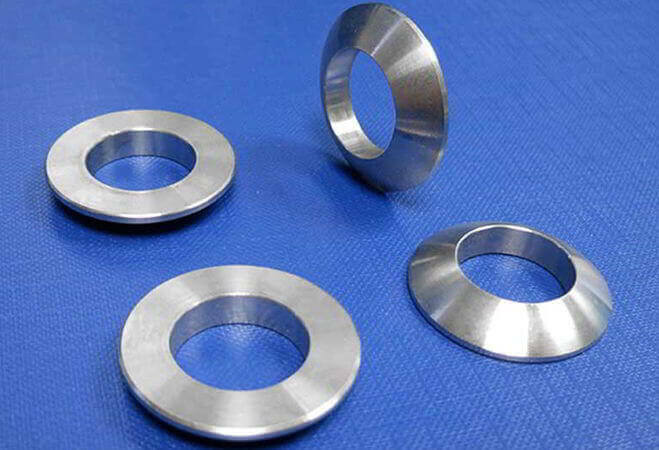 Duplex ASTM A479 UNS S31803 Flat Washers is often used for pulp and paper industry digesters, stock-handling systems, bleaching equipment, etc. 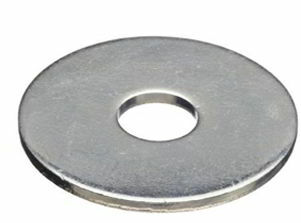 Duplex ASTM A182 F51 UNS S31803 Lock Washers is also used for Subsea Hydraulic Equipment and Sewage / Water Waste Services. 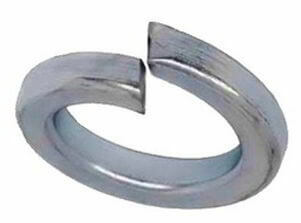 Anneal Heat to 1020 Degree C – 1120 Degree C for ASTM A479 Duplex S31803 Sealing Washers, ensuring sufficient time is allowed for the centre to achieve furnace temperature and hold for a time commensurate with the ruling section, followed by water quenching. 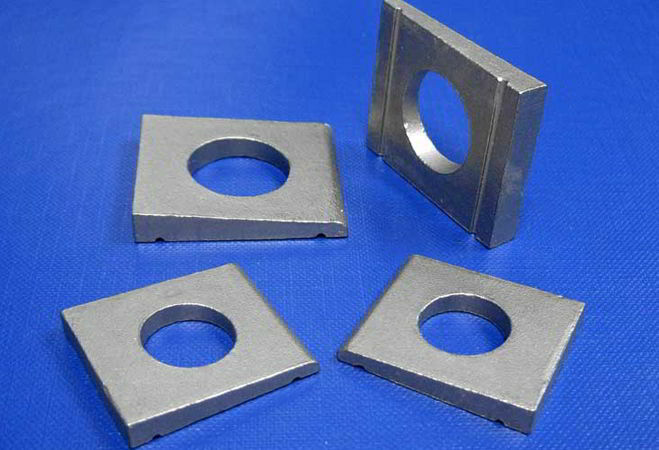 Duplex Steel UNS S31803 F51 Slant Washer, SAF 2205 Plate Washer Suppliers, Werkstoff No 1.4462 Duplex Steel F51 S31803 Countersunk Washers Traders, DIN 127 Duplex Steel ASTM A479 / ASME SA479 UNS S31803 F51 Fender Washer, 2205 Duplex Steel Lock Washers, Duplex Steel ASTM A182 / ASME SA182 UNS S31803 F51 Hexagonal Washer, Duplex UNS S31803 F51 Bevel Washers Exporters. 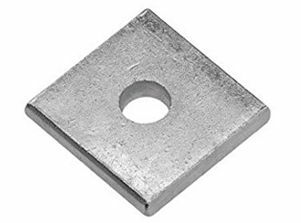 Duplex Steel ASTM A479 UNS S31803 / A182 F51 Fasteners, Duplex Steel ASTM A479 UNS S31803 F51 Washers, Duplex Steel ASTM A182 UNS S31803 F51 Washers, Duplex Steel F51 Washers, Duplex Steel Washers Exporters, ASME SA479 F51 UNS S31803 Duplex Steel Flat Washer, ASME SA182 F51 Duplex Steel UNS S31803 Lock Washers, Duplex Steel F51 S31803 Finishing Washers, ASTM A479 UNS S31803 / A182 F51 Duplex Stainless Steel Bonded Sealing Washer, Duplex Steel A182 UNS S31803 F51 Hillside Washers, Duplex Steel A479 UNS S31803 F51 Belleville Washers, F51 UNS S31803 Industrial Washers, Duplex Stainless Steel S31803 F51 Conical Washers, DIN 1.4462 Duplex Steel F51 Round-Mall Washers, ASTM A182 / ASME SA182 UNS S31803 F51 Duplex Steel Wave Washers, Werkstoff No 1.4462 Duplex Steel F51 Fender Washers, A182 UNS S31803 F51 Duplex Steel Tooth Washer, A479 Duplex Steel F51 S31803 Internal Tooth Lock, Duplex UNS S31803 F51 External Tooth Lock, ASME SA182 F51 Duplex Steel UNS S31803 Plain Washers Exporter, ASME SA479 F51 S31803 Duplex Steel Flat plain Washers, A182 F51 Duplex Square Washers Supplier, Duplex Steel SAF 2205 Dome Plain Washers, ASTM A182 Duplex 2205 Countersunk Washers, Duplex Steel ASTM A479 UNS S31803 / A182 F51 Dock Washers, A479 F51 Ogee Washers, Duplex S31803 F51 Bevel Washers Stockist, ASME SA182 Ferritic / Austenitic Duplex Steel UNS S31803 F51 USS flat washers, UNS S31803 F51 SAE flat washer, A479 Duplex S31803 F51 Split Lock Washers, UNS S31803 Duplex Steel F51 Spherical Washer, F51 A182 Duplex UNS S31803 Spring Washer, Duplex Stainless Steel S31803 F51 Slant Washer, UNS S31803 F51 Duplex Stainless Steel Custom Washer Stockists, Duplex F51 UNS S31803 Star Washers Stockists, ASTM A182M Duplex Steel F51 UNS S31803 Tab Washer, Duplex 2205 Stainless Steel Double Tab Washers Traders, ASME SA182 Duplex Steel UNS S31803 F51 one Tab Washers Dealer, ASTM A479 / A182 Duplex Steel S31803 F51 Taper Washers, ASME SA479 / SA182 Duplex Steel Grade F51 UNS S31803 Round Washers, ASTM A479 Duplex Steel UNS S31803 F51 Square Plate Washer, ASTM A182 Duplex Steel UNS S31803 F51 Dome Tooth Washer Stockholder, Duplex Steel F51 S31803 Torque Washers, Supplier of High Quality Duplex Steel UNS S31803 ASTM A182 F51 phenolic Washers, Manufacturer of Duplex Steel UNS S31803 ASTM A479 F51 split Washers Traders, Exporters of Duplex Steel UNS S31803 F51 Special Washers, SA182 Duplex Steel F51 S31803 Hex Washers Dealer, SA479 Duplex UNS S31803 F51 Customized Washer Stockholders, ASTM A479 UNS S31803 / A182 F51 DIN Standard Duplex Steel Washers, UNS S31803 F51 ANSI Standard Duplex Steel Washer, ASTM A479 UNS S31803 F51 BS Standard Duplex steel Washers, ASTM A182 UNS S31803 F51 ISI Standard Duplex Steel Washer, ASTM A479 / A182 UNS S31803 F51 ISO Standard Duplex Steel Washers. Surat, Australia, Santiago, Edmonton, New York, Seoul, Chiyoda, Nashik, Perth, Courbevoie, Caracas, Milan, Granada, Vung Tau, Istanbul, Ahmedabad, Sharjah, Bengaluru, Port-of-Spain, Doha, Ulsan, Kuala Lumpur, Jeddah, Ernakulam, Indore, Geoje-si, Hong Kong, Hyderabad, Al Jubail, Chennai, Toronto, Jamshedpur, Kuwait City, Pimpri-Chinchwad, Coimbatore, Haryana, Riyadh, Gurgaon, Thiruvananthapuram, La Victoria, Ahvaz, London, Navi Mumbai, Abu Dhabi, Houston, Baroda, Madrid, Bangkok, Chandigarh, Nagpur, Karachi, Cairo, Vadodara, Atyrau, Muscat, Dallas, Colombo, Manama, Lahore, Moscow, Rajkot, Faridabad, Secunderabad, Dubai, Tehran, Bhopal, Bogota, Jaipur, Ho Chi Minh City, Ludhiana, Pune, Montreal, Howrah, Kanpur, Noida, Mumbai, Turkey, Los Angeles, Ranchi, Petaling Jaya, Rio de Janeiro, Gimhae-si, Hanoi, Mexico City, New Delhi, Calgary, Al Khobar, Visakhapatnam, Kolkata, Dammam, Lagos, Busan, Singapore, Aberdeen, Brisbane, Jakarta, Thane, Algiers, Sydney. Belgium, Venezuela, Gambia, Israel, Philippines, Nigeria, Germany, Bangladesh, cyprus, Morocco, Poland, Poland, Mexico, Italy, Libya, mexico, srilanka, thailand, malaysia, South Africa, Brazil, Gabon, Canada, Portugal, India, Croatia, Taiwan, Hungary, Egypt, Finland, Nepal, France, Belarus, Spain, Iran, Japan, Jordan, Iran, Turkey, Kazakhstan, Algeria, Yemen, Sweden, Vietnam, Ireland, Netherlands, Oman, Chile, Kenya, Thailand, Russia, Ecuador, Namibia, United Kingdom, Zimbabwe, Indonesia, Slovakia, Tibet, Bhutan, Romania, Lithuania, Austria, Bulgaria, Macau, Puerto Rico, New Zealand, brazil, Saudi Arabia, Sri Lanka, Mexico, Trinidad & Tobago,Tunisia, Bolivia, Denmark, Lebanon, United States, Costa Rica, Colombia, Switzerland, Greece, Estonia, United Arab Emirates, Mongolia, Peru, Chile, Malaysia, Serbia, Qatar, Ghana, South Korea, Nigeria, Kuwait, Argentina, Bahrain, Afghanistan, Norway, Singapore, China, Ukraine, Hong Kong, Australia, Azerbaijan, Czech Republic.